Winterization is important for many homes in North America because the colder conditions that winter brings can wreak havoc on our plumbing systems. Certain precautions need to be taken to keep plumbing safe in cold climates, and that means professional winterization services for homes in the Cincinnati, Ohio area is important, saves money, and gives peace of mind. 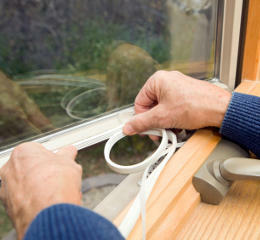 Winterization is something that many older homes require. It is important to protect cold areas from freezing such as crawlspaces, some basements, or exterior walls with poor installation. Homes that will not be occupied over the winter such as vacant rental properties or homes that are for sale need winterization if they are in our area; vacation homes that are not in use during the winter need this service as well. One of the main risks for homes that are not properly winterized is the freezing and bursting of pipes. When water freezes in a pipe, particularly in a pipe under pressure, there is the chance that it could burst. Beyond flooding, major property damage and structural issues could ensue. There are several things that can be done to winterize a home that is for sale or currently uninhabited. You will need to find the main water shut off valve to your home and close the valve. Water should be drained and removed from any basins, including the toilet, toilet tank, water heaters, and washing machine drain hoses. As much water as possible should be drained out of the home’s fresh water system. Of course, do not forget about the exterior pipes and features of your home. Clearing out gutters from debris should also be part of the winterization process. Working with a professional licensed plumber such as Narrow Path Plumbing is an excellent way to keeping yourself safe from cold weather related damage during the winter months.